As horses spend their younger days showing, and packing us around we sometimes tend to forget they do get older. We wish they would stay young forever. 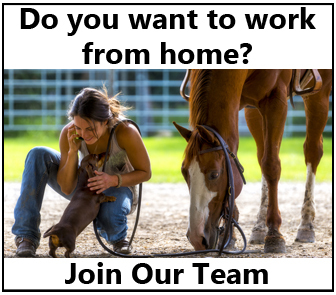 If they did stay young forever we wouldn’t have those horses that make such great babysitters, we wouldn’t have those older horses to teach the younger ones they way of life! 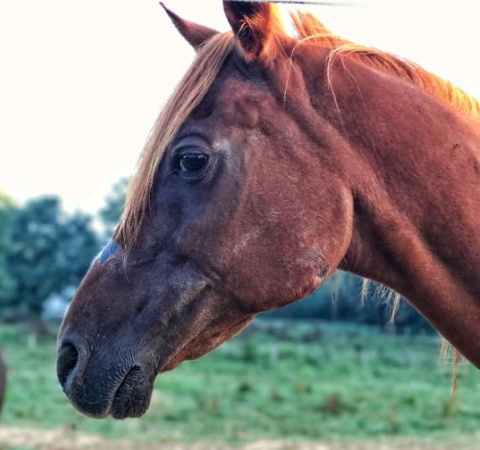 You hear of those horses that have done their time, getting to retire and live out their days being a horse, but for some, that doesn’t always happen. Sometimes that doesn’t always happen but then you hear of those stories where the older horse gets the win even after having a hard time. This is just that story. 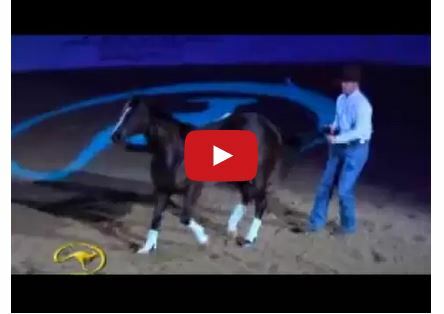 Brooke Coffey was a Guardian Angel for one little Arabian mare! This is the beautiful story she shared on Facebook. “A year ago I saw you on a Facebook ad, “Old horse need gone asap $300 obo.” Naturally, I clicked on it and started looking. I saw you were almost 30 years old, and a registered purebred Arabian. I thought to myself, “No, you don’t need an old horse that is 300-400 pounds underweight.” I got off your ad and went about my day hoping someone nice would buy you. As the days went by, I kept seeing your ad. I went through the comments and saw people talking about riding you, sending you through a sale, or just putting you out of your misery. I sent a message to your owner, and got a response. He said he needed you gone, I fought my instincts but by the next day I bought you. 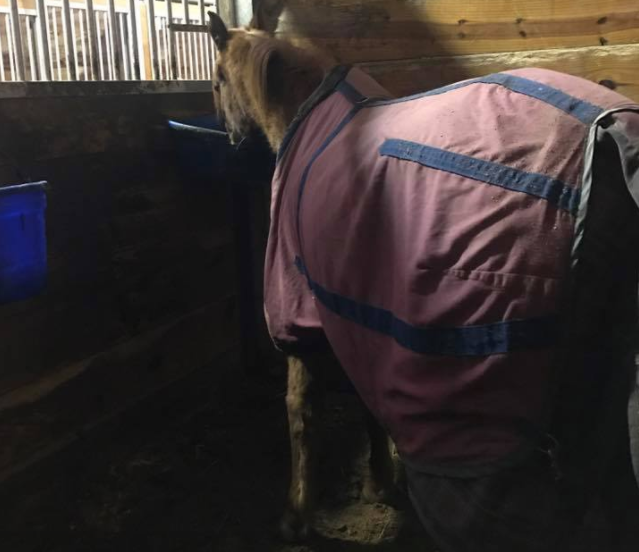 I thought to myself, “This is a horrible idea, this horse is almost in Michigan.” Not to mention, I paid a few hundred dollars for a horse that might die. My mom didn’t even know I did this, so I convinced a friend to go with me to get you. We drove nearly 5 hours each way to get to you. It was freezing, so I thought I would bring a blanket for you. Having no clue if you’ve ever even worn one, I decided you needed it and brought it on the trip. We drove and drove, and finally we got close. The GPS said I was 5 minutes out, I looked to my right and saw you standing out there. You had a chicken coop for shelter, one that you couldn’t even get into. I pulled into the driveway and the man greeted me. He was very nice, but you could tell he didn’t have the time for you anymore and needed you to find a home. I got out of the truck and walked over to you. I thought I was going to be greeted by a grumpy old horse, I was so wrong. You looked up at me and you had the tiniest little pointy, perky Arabian ears. The kindest eye, and a very beat up face. I went under the single strand of hot wire and greeted you. You started nuzzling on me and licking me. Immediately, I fell in love with you. You were the absolute sweetest thing, even though you were in less than good condition. I patted on you and saw I could feel and see EVERY single rib. Your hip bones were showing, your eye sockets were sunk in, I could count every vertebrae in your back, but yet you were still so kind. I ran back to the trailer and grabbed you the nice Schneiders blanket I brought for you. 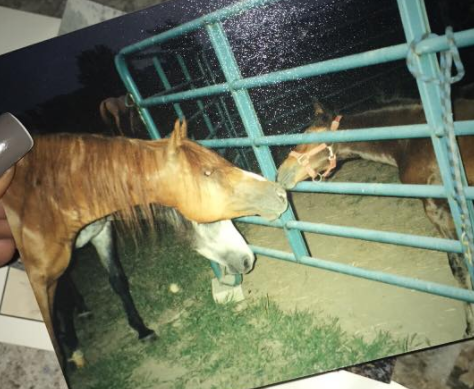 Then, I went back to where you were and told you, “hey buddy you’ll probably want this.” Without hesitation you stuck your head through the neck hole just like a show horse would do. I tightened all the straps and secured it. You were so happy with all the attention. The man brought your papers out and handed them to me. He said he got you from a sale and just couldn’t keep you anymore. So, I handed him the money I didn’t need to spend and you were mine. I haltered you and walked you to the trailer. You didn’t even flinch and you jumped right in that trailer and started munching on hay. I buckled you in and off we went. Off to your new home, where you’ll be loved. When you got to the barn, I led you in and led you down the aisle row. You nickered and greeted everyone, all bright eyed and perky. We got you tucked you in for the night and went home after a long day. After breaking to my mom what I did,I examined your papers. You were bred well and born in the 80’s. I looked at the bottom of your papers and saw the name of your breeder and your old owner. Sadly, I couldn’t track down your breeder, but I was able to find who bought you from them. Through social media I got a number for her. A few days went by and I called her, she was ecstatic to hear I have you and that you were still alive. She told me all sorts of cool things about you, and even sent me pictures of you when you were young. 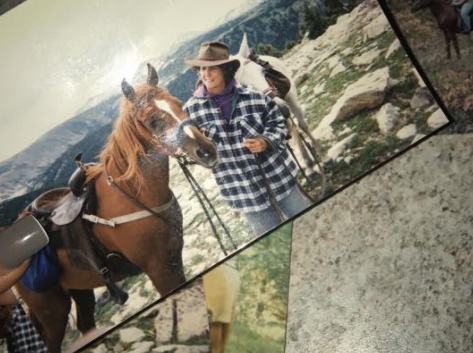 She said you were a pack horse that packed elk through the mountains and sadly she lost track of you when you were sold. It was the coolest thing getting your history. We still keep in contact to this day and hopefully she’s going to come and see you someday. As time went on, you started breaking out of your shell and becoming my friend. You started to love treats, and you started greeting me in the mornings. I thought I’d have to put you down a few times because of how thin you were. So, I evaluated your quality of life, and saw you’re still so full of it. You love following me down the aisle way, you love when I let you out to graze, and you like playing with my older retired show mare. It’s funny, when I put you out to graze in the summer I don’t even need to watch you. 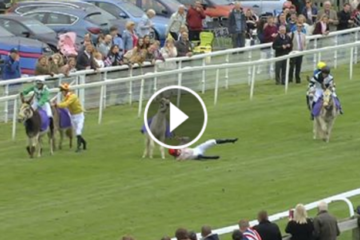 We go about working horses and you come in when you’re done and stall yourself. As winter approached, I worried if you’d make it through or not. So, I decided you needed to come in and live. As I’m writing this you’re currently in the barn with hay, wrapped up in two blankets. Every single morning I see all the show horses greeting me, then I see your little nose peak through the feed slot. You have the kindest little face, and you always come up to get patted when I hay you. Although you can hardly reach to see out of the stall, (Because you’re only about 14 hands tall and probably taking a deep breath to make me think you’re that tall.). You still haven’t gained much weight, but you’ve gained some. All I can see is a light every time I look at you. You have such a personality, and I’ve definitely become your person. I take you out to get brushed, (You even got a bridle path like the show ponies!) and all I can see is how thankful you are. I know you’ll probably never get ridden, but that’s fine. You’ve become one of my favorites and I’ll keep you as long as you fight to stay here. I’m so thankful I’ve gotten to be a part of your life, and I can’t wait to keep being apart of it as long as the good lord doesn’t want you home yet. You’re such a kind, loving horse and I can’t even imagine how you’re still like that after all you’ve been through. But after all, that’s the beauty of the Arabian horse. No matter what happens, they are the most thankful and forgiving creatures I’ve ever met. With the kindest eyes, and the most beautiful faces. Source Brooke Coffey Facebook. 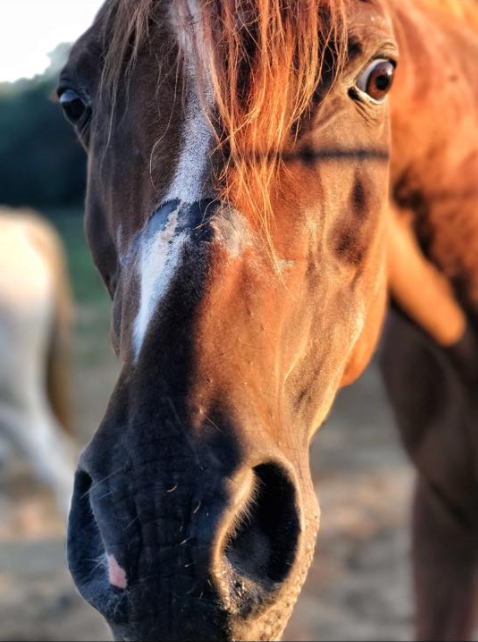 Senior horses deserve all the love in the world. Share this on Facebook if you agree! 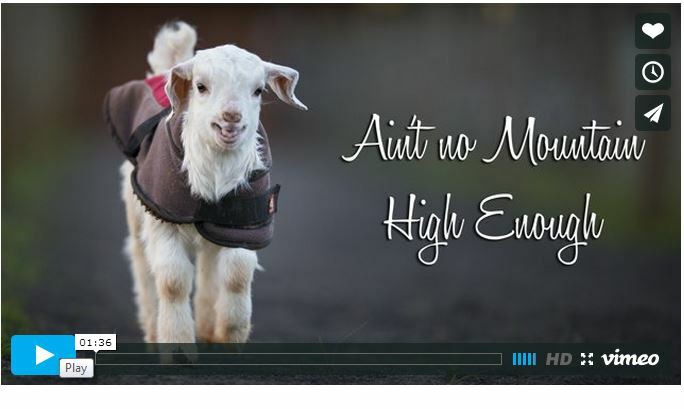 Baby Snow Goat Learns To Walk Without Wheel Chair! Go Frostie Go!!!! Thank you! Not only for saving this amazing soul but for sharing his story….you are both blessed.